Fixes various iOS issues like white screen, stuck in recovery mode, etc. Works smoothly with all versions of iPhone, iPad, and iPod touch. Retains existing phone data during the fix. If you are a loyal Apple fan, it is likely that you might have encountered the infamous white screen of death at some point. This bothersome glitch appears most commonly after a hard impact, but it can also come about from an unfortunate software error in an Apple device (e.g. iPhone 7, 7 Plus, SE, 6s, 6s Plus, iPad, iPod, etc.). The White Screen of Death is an operating system issue that makes the device stop working, and display a white screen instead. For those who are lucky (or careful) enough to avoid the Apple white screen of death, hooray! Unfortunately, for the rest of us, this glitch can be a highly annoying problem; it locks users out of their device and effectively transforms any Apple gadget into a glorified paperweight. Why does iPhone white screen occur? Update failure: A failed software update could cause a White Screen of Death of iPhone 8, iPhone 7, etc. When you try to update your iPhone’s OS, the update may sometimes fail and the screen may go blank, displaying nothing but white. iPhone jailbreaking: When you try to jailbreak your iPhone, something may even cause the jailbreak to fail. In such a case, the iPhone 4 White Screen of Death may occur. Hardware glitch: Sometimes, the software may not be the culprit at all. A cable connecting the iPhone’s motherboard to the screen may come loose or even break, resulting in the iPhone 7 White Screen of Death. This is a hardware glitch, that may happen when the phone is dropped. Low battery: The reason behind a White Screen of Death may also be as simple as low battery. When your iPhone’s battery falls too low, all system functions may cease and the screen may turn white. Now let's explore all the solutions to fix iPhone white screen. If you are looking for a fuss-free way to your 'white screen' woes, dr.fone - Repair (iOS) can help! This software caters to all problems relating to iOS devices and capable of providing a quick-and-easy fix to the white screen problem. More importantly, you don't have to worry about backing up your data before starting the repair process; dr.fone's software helps to protect your precious messages, contacts, music, videos and more! 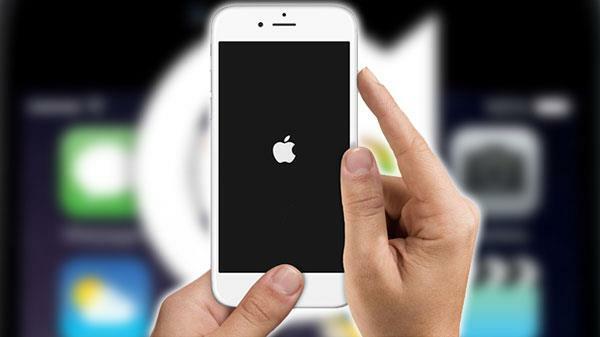 Fix iPhone white screen with no data loss! Only fix our iOS to normal, no data loss at all. 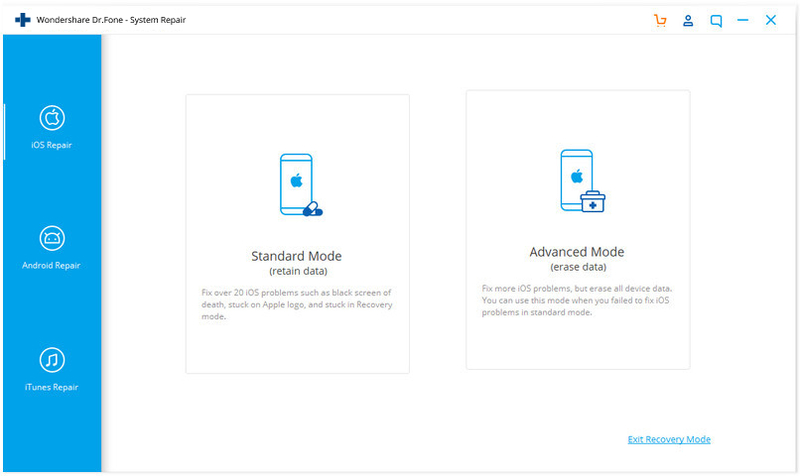 Fix with various iOS system issues like stuck in recovery mode, white Apple logo, black screen, looping on start, etc. 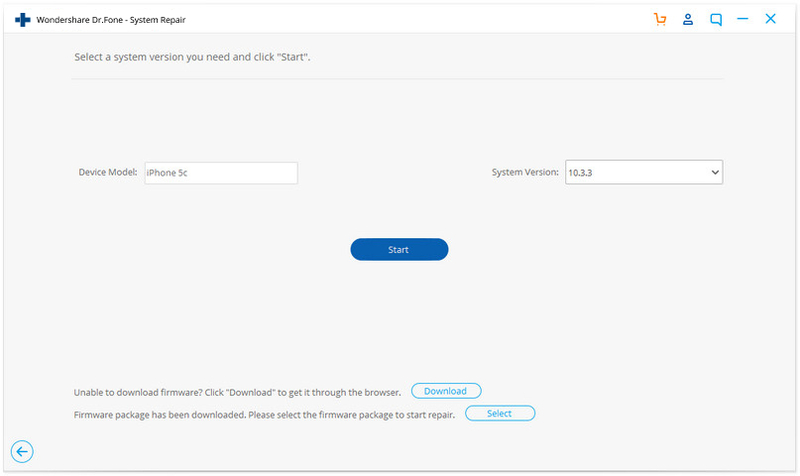 Step 1: Download and install dr.fone to your PC. 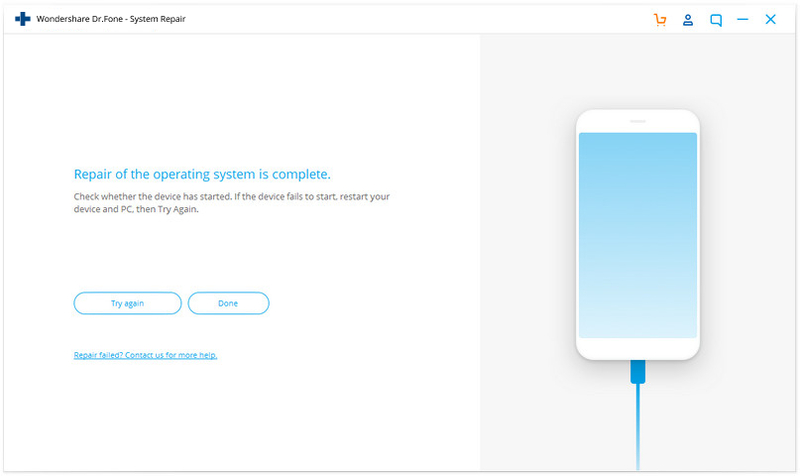 Upon completing the installation, connect your iOS device to your computer and launch the dr.fone program. Step 2: From the main window, select 'Repair'. Click on 'Start' once your device has been detected. Step 3: dr.fone will begin the repair process by downloading the latest iOS firmware. 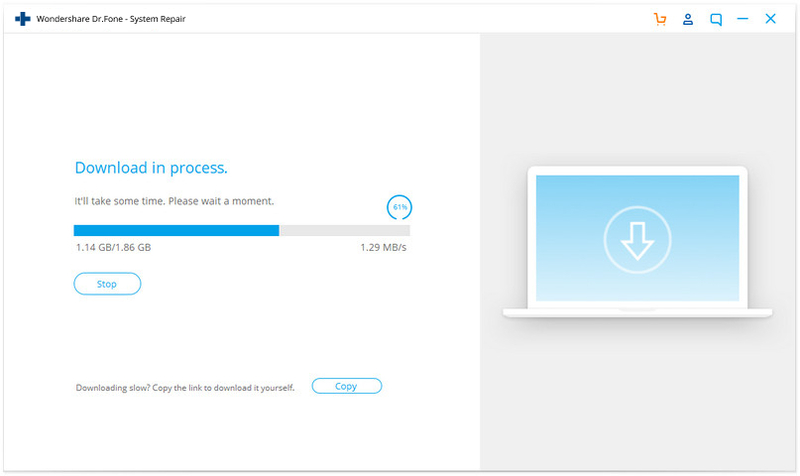 Simply hit 'Download' and wait for file to complete. Alternatively, you can perform a manual download, before clicking 'Select' and importing the relevant firmware package that matches your iOS device. Step 4: As soon as the firmware download is completed, dr.fone will enter the final recovery process for the 'white screen' glitch. And within 10 minutes, your device will be repaired and ready for use! It's just that simple! By following the above instructions, your iOS device should be up and running in no time. And all your contacts, messages, photos and other precious data are still intact on your device. Also, dr.fone can help you recover data from broken iPhone which is beyond repair. My iPhone Screen Has Blue Lines. Here's How to Fix It! Despite being a much-derided piece of tech advice, 'turn it off and on again' is often a surprisingly effective solution for most minor glitches. iPhones are no exception as a hard reset can be used to recover a frozen device with ease. Here are the guides needed to perform a force restart in the event that you encounter a white screen glitch. Press down on the Home button and the Power button simultaneously, till the Apple logo appears. 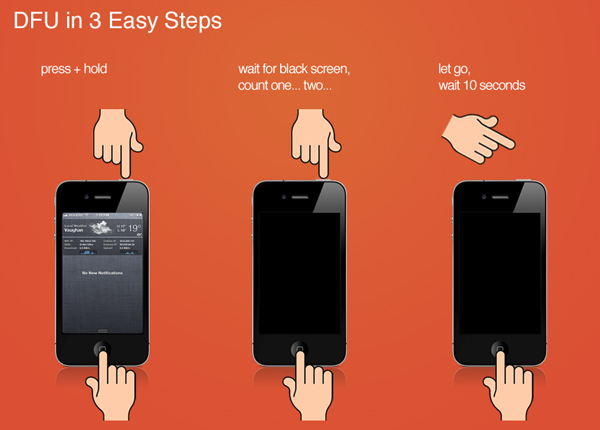 Release the buttons and wait for your device to complete the starting This process can take 10-20 seconds to complete. Patience is the key! During the startup process, enter your passcode, regardless of whether you usually use your fingerprint for identification. 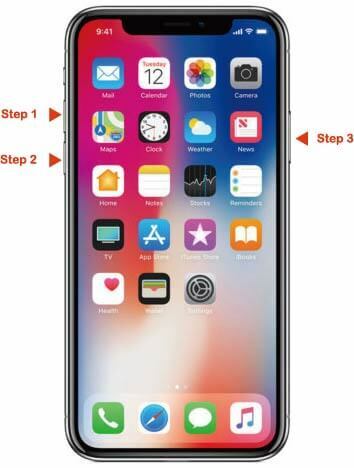 Press and hold down on the power key on the side of the phone and the volume down key button simultaneously until the Apple logo appears on the screen. The starting sequence shall begin. During the process, enter your passcode, regardless of whether you usually use your fingerprint for identification. The iPhone should work normally now. Do the same on the Volume Down button (press and release it quickly). Press and hold the Power button (on the side) until you see the Apple logo. Use a USB cable to connect your iPhone to the computer and run the iTunes. Then, iTunes will popup a dialog box, click 'Restore'. iTunes will to download the software for your iPhone and restore it when the downloads is completed. Note: This method will clear all the contents and settings on your iPhone. Booting your gadget in Device Firmware Upgrade (DFU) mode is a way preferred by quite a number of iPhone users. This way does not require a third-party tool but will erase all the data in your phone. This solution can be cool only if you have backed up your iPhone. As its name implies, DFU mode is typically used to modify the firmware of a mobile phone. For instance, if you wish to install a custom firmware (or hush, perform a jailbreak), DFU mode will come in handy. 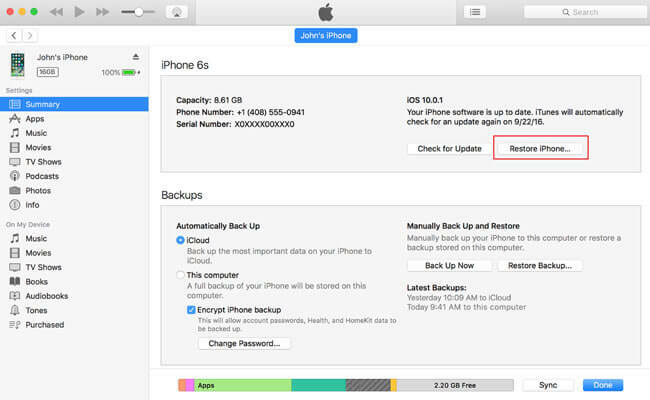 In this context, DFU mode can be used to restore an iPhone with a previous backup or to restore factory settings. Be warned though, the latter will result in a complete reset of your phone's data (contacts, videos, images, etc. ), so always remember to make a copy first! Connect your iPhone to your computer. It doesn’t matter if your iPhone is on or off. 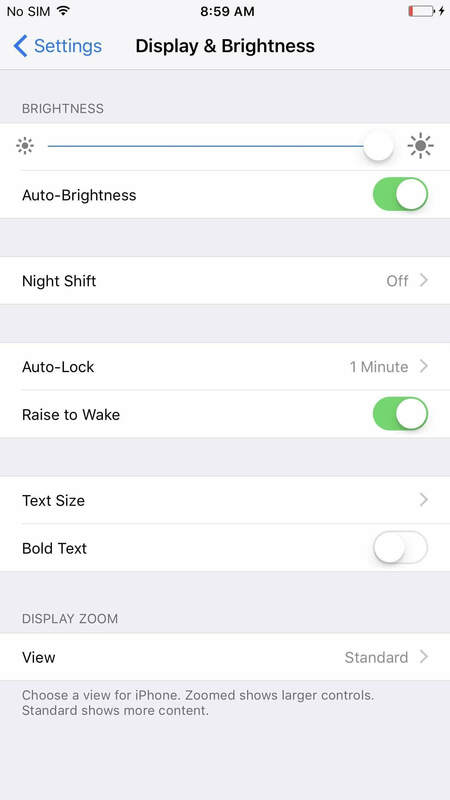 Press and hold down the 'Sleep/Wake Button' and 'Home Button' together for 10 seconds. Release the 'Sleep/Wake Button' button, but keep pressing on the 'Home Button' for another 15 seconds. Let go of the 'Home Button'. 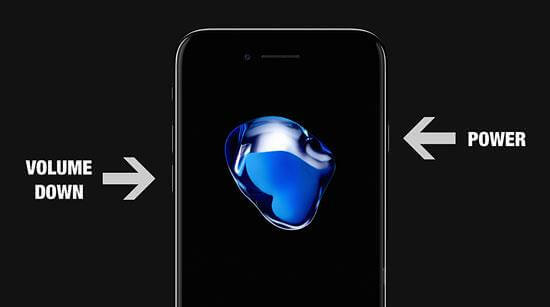 Your iPhone screen will be completely black. If you see the "Plug into iTunes" screen or Apple logo screen, it says you failed to enter DFU mode. In this case, you need to try the above steps again from the beginning. Note: As we have mentioned previously, you can enter DFU mode to fix white screen of death. But this method will clear all your settings and data on your iPhone. And you are unable to backup your iPhone when it stuck in white screen. Therefore, dr.fone's solution might be a better choice since it can save your precious data. By going through all the major solutions listed above, the majority of users would have solved the iPhone white screen issue. If the issue still persists, dive in the user-collected (less mainstream) solutions to fix iPhone white screen of death. 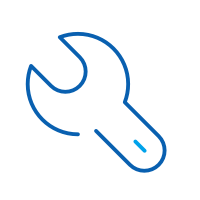 Without a dedicated Repair tool, the first thing you should do is check whether the Zoom feature on your phone is turned on. If so, you can simply fix it by double-tapping on the screen with three fingers together to zoom out. Then, go to Settings, select General, then Accessibility and turn off the Zoom option. This should ensure that you don’t receive a false alarm for a WSoD again, anytime soon. 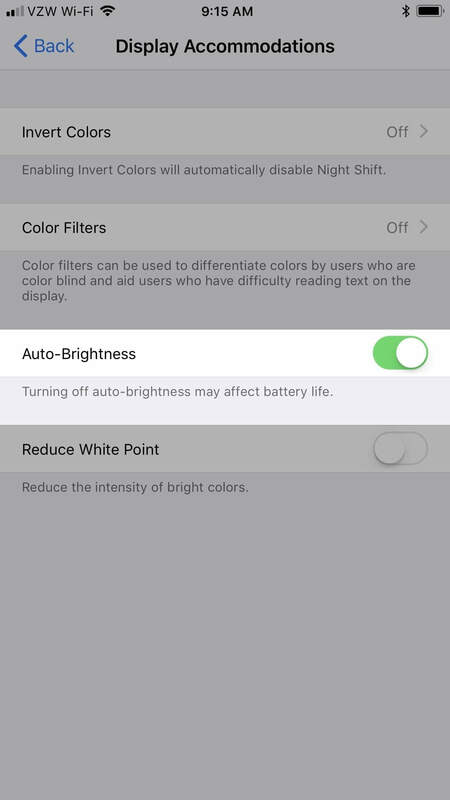 Another way to deal with the problem is to turn off your iPhone’s Auto Brightness. This has been reported, on numerous occasions, to help some users with the WSoD issue. How do you do this? In earlier versions of the iOS (before iOS 11), this could be done easily. All you had to do was head over to your settings, select “Display and Brightness”, and toggle the option off. 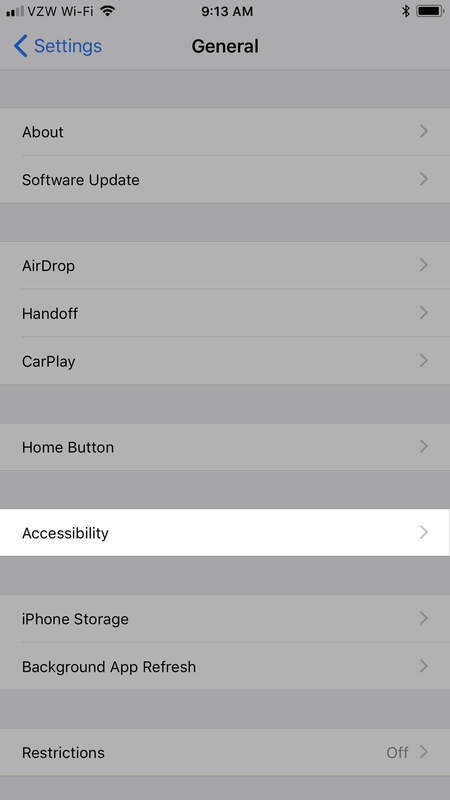 In the newer version, the option is now available in the Accessibility settings. In the Settings app, select ‘General’. 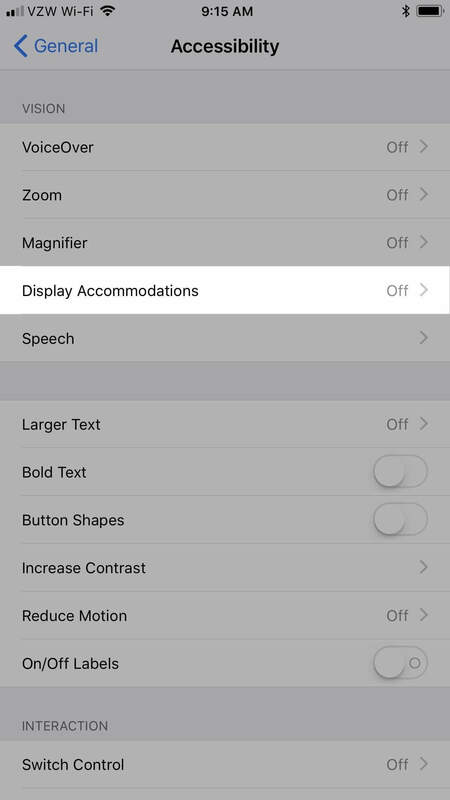 Then, select ‘Accessibility’, then ‘Display Accommodations’. Here, you shall find a toggle for ‘Auto-Brightness’. Turn this off. Sometimes removing the battery, putting it back and booting the phone is another possible solution. The contacts on the battery and your device may develop some issue with conduction, which in turn hampers the functioning of the phone as a whole. By replacing the battery, you are restoring the proper contact orientation, thereby fixing any problem that may have arisen due to this. If, however, you’ve never done this before and are not very confident about doing it yourself, approach a professional. If none of the above solutions work, your iPhone probably has an issue that you, alone, can’t fix. There may be something wrong with the bottom-layer hardware in your iPhone. Then, you should let the professionals take over. Head over to your nearest Apple Store for help. You can also contact experts via phone, chat or email. The contact information for official Apple Support can be found on the website. How about the white screen of death in iPod touch or iPad? The solutions to deal with the iPhone White Screen of Death can, in fact, be applied just the same to fix the same glitch in an iPod or an iPad too. If you encounter the problem in either of the iOS devices, simply follow the routine described above. Starting with disabling the Zoom feature, then turning off Auto Brightness, then removing the battery as explained, somewhere along the line you shall definitely find the perfect fix for your problem. As the famous proverb goes: "Prevention is better than cure". Tip 1: Reducing your phone's exposure to environmental stress is a surefire way of keeping it safe. Damp surroundings and dusty spaces are some physical risks that you should guard against as they can result in the 'white screen' problem, among other handphone woes. Tip 2: Another common problem that smartphone users should watch for is overheating. Warm environments aside, this issue comes about when there is extra stress on the battery or other hardware resources of a smartphone. Be sure to give your phone a break every now and then by shutting it down! Tip 3: Protective accessories, such as a simple cover, can help to prolong the longevity of your smartphone. Cases with extended edges can help to cushion the impact of a fall and reduce the chances of hardware damage occurring. Tip 4: Software glitches are another common reason for the 'white screen' problem, and they appear more frequently in iPhones running earlier iOS builds (i.e. below iOS 7). Therefore, one effective preventative measure is to simply keep your iOS devices updated with the latest software. When the iPhone White Screen of Death happens, you are basically rendered incapable of doing anything with your phone. This can prove to be a huge inconvenience in certain situations more than others. However, learning a few quick fixes to get your phone up and about again in no time, can help immensely in saving you some trouble. iPhone Stuck On Verifying iOS 12 Update? Here Is The Quick Fix! iPhone stuck on “Verifying Update can be a big issue while updating your software and would absolutely leave you bonkers on ho to get rid of it. iPhone software update server could not be contacted pop-up occurs while trying to update iOS via iTunes and it is troublesome for all the loyal iOS customers. iPhone Not Charging? Here Is The Real Fix! Learn how to fix iPhone 6 not charging issue in this informative post. We have come up with quick and easy solutions to fix iPhone 6s not charging problem.